"Runner & Triathlete Stumbles Upon the Secret to Finally Make His Knee Stop Hurting - And Bounces Back to Race the Triathlon World Championships!" "My Knee Started To Feel Funny…"
But I pushed through the discomfort that gradually intensified on the outside of my knee…and by the time I got off the bike 112 miles later, flexing and extending the knee joint brought a grimace to my face. It was almost like my knee was locked into place. For the next four weeks, my knee hurt. It hurt when I bent and extended it, especially going up and down stairs. It hurt when I ran, especially downhill. It hurt when I rode my bike, especially on rough roads. It hurt when I swam, especially when I had to kick frequently. Sometimes I could pinpoint the pain exactly (about 1-2cm above the knee joint line), but sometimes the entire knee just throbbed. Stretching helped, but only temporarily. It was only later that I learned about overtraining, overuse, and other crucial mistakes I'll tell you about left my IT band swollen, inflammed and useless. Unfortunately, the pressure was on. I had to fix my knee as quickly as possible to be able to compete in all my forthcoming running and cycling races that season. I couldn't just stop training! So I set forth on a journey to fix my knee, fast. Since I work in a sports medicine facility, I had access to physicians, physical therapists, massage therapists, and chiropractors who were able to give me advice about their techniques for rapid recovery. I gleaned as much as possible. factor on the face of the planet for IT band friction syndrome and outside, lateral knee pain. I discovered that the IT band, or "Iliotibial" band is a tight band of tissue on the outside of the leg from the hip to the knee. At the knee joint, it moves across a hard bone, or condyle, on the left of the femur. Contact against this condyle is highest when the knee is flexed between 20° and 30°, and when the IT band is excessively tight or stressed, this rubbing action is more vigorous and "friction" and inflammation become a problem. 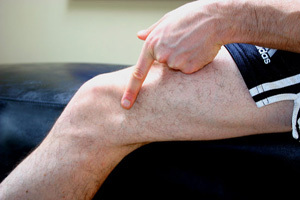 There is also a fat pad, or bursa, directly between the IT band and the condyle, and this can also become inflammed! The resulting pain is called IT band friction syndrome and also IT band tendonitis, and if the outside of your knee hurts when you bend, land, twist or squat, then you probably have it! So being both a triathlon coach and an athlete, I set about implementing simple and proven techniques for reducing and removing the inflammation and pain caused by this annoying, debilitating, frustrating friction and tendonitis. I don't know about you, but when I fix something, I want it to stay fixed. So after implementing the exact tools that I teach in this system to remove the inflammation, I designed an easy and practical program to make sure this never happened again. • Teach you how your knee got hurt in the first place.  Be easy-to-understand, rather than reading like a medical manual.  It's got to be risk-free and not just something you gamble on maybe working. • It must not only make the knee bulletproof, but also address foot and hip issues that might also lead to lateral knee pain. • It must be instantly accessible, and allow you to begin on the exact day that you discover the system. So I went to work with a video camera, and piece of paper, and a pen - filming, recording, and writing every single tip, trick and technique that I learned for training with IT band friction syndrome, fixing pain on the side of the knee, eliminating inflammation and making the knee joint 100% ready for swimming, cycling and running with no pain. 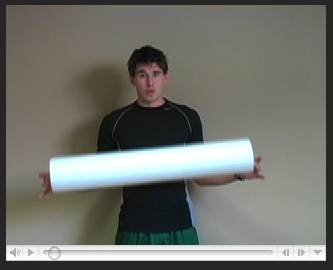 "What I Came Up With After Months of Frustrating Pain and Countless Hours of Research and Experimentation Is The Most Powerful And Effective Knee Bulletproofing System Ever Invented..."
Announcing Ben Greenfield's Amazing New Program that Eliminates Your IT Band Friction Syndrome, Transforms Your Knee into a Bulletproof Joint That Can Pound Through Miles of Running and Hard Hammering on the Bike and Turns Your Confusion and Frustration Into Complete Knowledge of an Exact Step-by-Step System that Allows You to Return to the Sports You Love, Exercise Without Pain, Make Your Tendonitis Disappear and Have Enormous Amounts of Confidence That Your Knees Can Finally Take Everything You Throw at Them! "As a matter of fact, the IT Band Friction Fix is the exact system I used to go from not being able to run 1 block without severe knee pain to completing a half-Ironman 8 weeks later..."
And not only completing the 1.2 mile swim, 56 mile bike, and 13.2 mile run 100% pain-free, but also qualifying for the Triathlon World Championships at that same race, using exactly the system that I lay out in the IT Band Friction Fix package! I started by shooting videos that introduce you to the types of braces, equipment, exercises, stretches, and changes in training protocols that you can immediately implement. But then I decided to give you even more convenience! So I also included a detailed and comprehensive module to accompany each video . In this module, you are given exact text links and step-by-step instructions for getting your hands on the right tools and using the techniques that you see in the videos. In other words, I wanted to make it so that when you watch the video, you can immediately use the instructions on the video page to use the techniques that I talk about. No head scratching or trying to figure out when to do what. Because remember, this is a system, not a hodge-podge of suggestions! You'll notice that it's not just about exercise and training. I've also included knee healing nutrition and natural remedies - and even told you EXACTLY WHICH FOODS CONTRIBUTE TO INFLAMMATION. That's right...there are supplements, vitamins and real foods easily accessible at your local grocery store and health food outlet that can rapidly accelerate the process of bulletproofing your knee. And in the IT Band Friction Fix, I teach you about the full range of these dietary tricks. "The IT Band Friction Fix takes rehabilitating your knee one step further by showing you exactly what to eat and what not to eat to rapidly speed the healing process." It's about giving your body as big an advantage as possible to heal as quickly as possible. To use food as medicine, this system gives you step-by-step instructions about exactly how to combine exercises, stretches, braces, physical therapy modalities, food, and nutritional supplements to give you the ultimate knockout combo to completely eliminate your tendonitis and friction syndrome. With this massive blend of healing techniques, your knee inflammation won't know what hit it! You'll quickly find yourself regaining your fitness as your knee becomes stronger and more bulletproof and pain-free every day. If you're an athlete, this will be your secret weapon. If you're a recreational exerciser, this will eliminate your frustration. 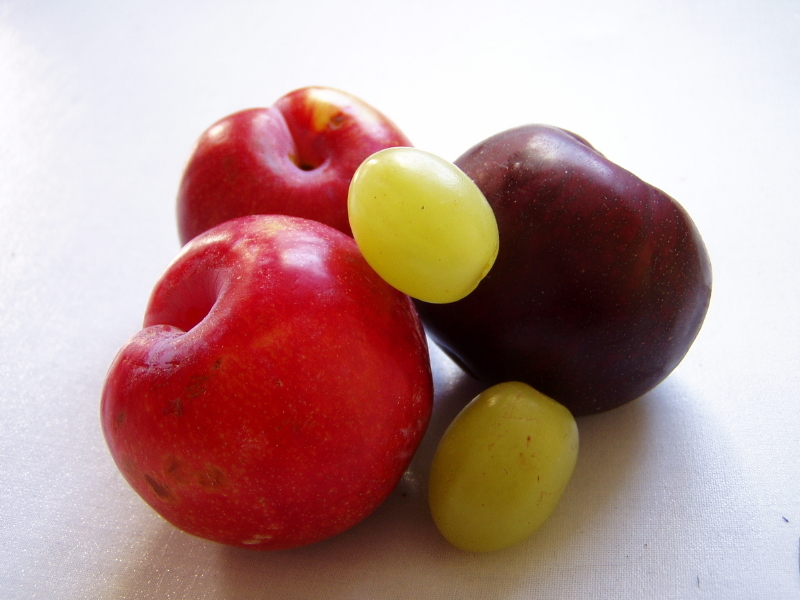 And if you just have pure knee pain, this system will naturally soothe and remove your symptoms. 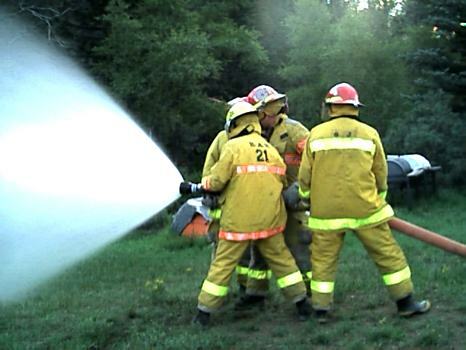 Using the IT Band Friction Fix verses traditional rehabilitation or therapy is kind of like the difference between fighting a fire with a spraybottle versus a firehose…you know which one is going to have the biggest effect on the inflammation in your knee. Stretching is not enough. Therapy is not enough. Isolated leg strengthening is not enough. 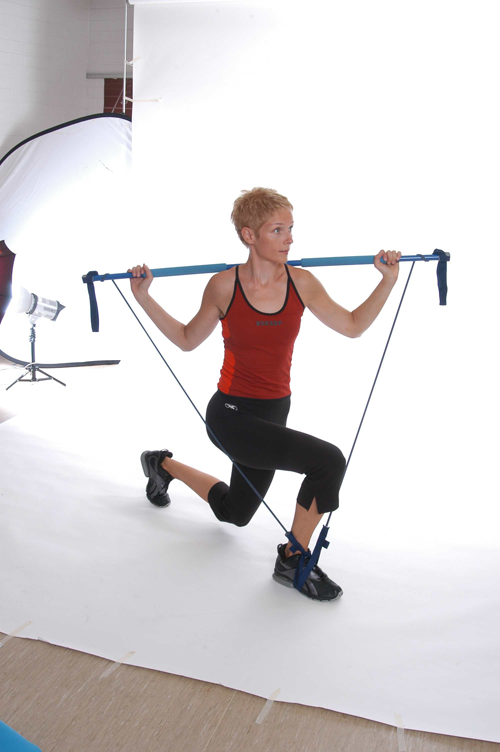 You need to be doing an enormous combination of proven methods to heal your knee, and that's exactly what the IT Band Friction Fix system does for you, while keeping things clear, practical, easy and not overwhelming. "If you simply fight through the pain and try to just live with your IT band friction syndrome and tendonitis…you will eventually destroy your knee."  Nip this problem in the bud and heal fast so that you don't do permanent damage.  Keep the problem from occuring for the rest of your life.  Take charge and implement a step-by-step system that gets you better every day.  Give you confidence that your knee will do what you need it to do. And I completely understand that you have to have this spelled out for you and you are sick and tired of unclear instructions about how to fix your knee with a frustrating level of different recommendation from a dizzying array of resources . You may never get another chance to fix your knee. One of the most damaging and expensive things that you can do to your knee is to continue to try individual fixes, rather than combining the unique blend of therapeutical treatments, nutritional changes, supplements, exercises and stretches that you are introducted to in the IT Band Friction Fix. ...and you've found the solution! Here's what people are saying:"
"After 3 decades of no regular exercise, last year I got off the couch and completed 3 sprint triathlons. In the process I aggravated an old hip injury and bursitis, followed by IT Band syndrome. A physical therapist suggested I might not be able to run or bike anymore. Within days of starting the exercises and stretches in the modules I was able to run. Now, about 6 weeks later I can run or bike for more than an hour without any pain at all!" "Hi Ben, Hey I am not sure if you will get this as I am not really sure if this was sent via computer but I thought I would let you know your methods for curing my IT band worked flawlessly!! I do use all your tips and am a huge believer in you methods and philosophy. I will definitely pass along your sites to family and friends!! I am competing in my first 1/2 Ironman this month in Oceanside Ca and am entered for the full Ironman this year in Az. This would not have been possible had I not followed your program!" "I have been using the Bulletproof knee for 5 weeks and I can feel a big difference in my running, my ITB has all but disappeared and I feel much stronger. I highly recommend this e-book for anyone suffering form ITB problems." 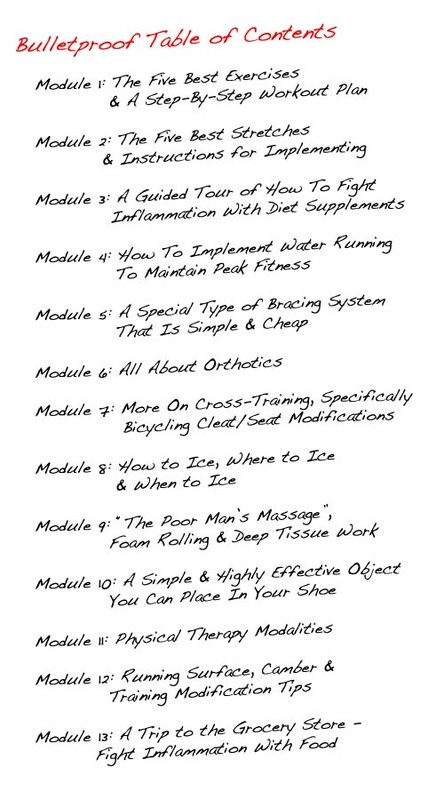 "I have only implemented 1 of the 13 modules and gradually went from running 3 miles with pain to 2 hours without pain. The wealth of information in this system is invaluable!" "I used the product for prevention after being dormant athletically for 25 years and starting out #170 OVERWEIGHT, now better than halfway to my weight goal I think nothing about running for an hour and a half. I have had ZERO Knee pain, none. I enjoy running again.."
"Bullet Proof Knee was the only cure I could find for my IT Band issues. I purchased this product 7 week prior to an Ironman event at which point I couldn't even complete a 1 mile run without pain. 7 eeeks later I finished my first Ironman event without any knee PAIN!" - And they do it quickly! - And now you can too!! My IT Band Friction Fix system is finally here and it does everything that I demand from a program designed to heal my body. Here's what you can look forward to when you get your hands on a copy of this instantly downloadable video and text package. • Are you ready to make the decision to transform your knee from a crippled painful joint into a Bulletproof Knee ready for action? "When you claim your IT Band Friction Fix, here's what you get (for a ridiculously low price that is less than ONE pair of running shoes!)" Order It Here Now for $97 OR Keep Reading to Get the Bonuses! 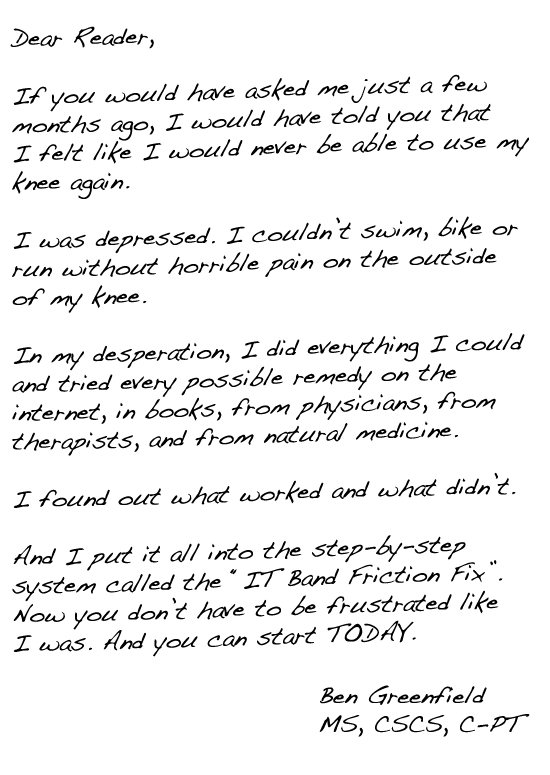 And That's Not All...If You Get Your Copy of The IT Band Friction Fix Today You'll Receive These Fast Action Bonuses! This e-book is the key to unlocking your energy levels and making your metabolism burn like a wildfire!If you follow 10 of the tips in this book, you’ll double your energy levels. If you follow 20 tips, you’ll see fat literally melt from your waistline. If you follow 50 tips, you’ll wonder why you avoided this incredible effect for so many years. But if you read this book cover-to-cover and integrate each of the 100 tips into your daily lifestyle, you’ll find that the metabolic secrets give you far more than simply a high burning metabolism. Your entire quality of life will peak at levels you never thought imaginable! -Most importantly, you have the option to use it for some of the exercises in the knee bulletproofing program! When you order the IT Band Friction Fix, you'll receive an e-mail with a special coupon discount code that gives you your automatic $29 buck coupon for a Gymstick! In addition to getting the original version of IT Band Friction Fix, you will also get a free lifetime of updates whenever any video, audio, or text material is added to the system! If you order today, you get ALL these fast action bonuses NOW, and you get everything for the surprisingly low price of only $97, for a lifetime of pain-free action! You are about to instantly have on your computer desktop the entire Amazing IT Band Friction Fix System that gives you a step-by-step system for eliminating your inflammation with zero guesswork and instantly usable tactics...at the same investment as a single pair of running shoes. Bonus #1 FREE copy of "100 Ways to Boost Your Metabolism"
• You'll get every new update to the IT Band Friction Fix as soon as it comes out. And You Get a No Risk, Money-Back Guarantee! If you still have any lingering doubts about purchasing, let me reassure you now with the knowledge that your copy of this superb software is covered by my 100% cast iron, no questions asked, zero risk guarantee. I am so confident in this system that if implement it for as little as 16 weeks and do not experience the ability to return to activity pain-free, just shoot me a quick email and I guarantee to refund your money in full, no questions asked. for yourself, with no risk whatsoever. In other words... you have everything to gain and nothing to lose! "So are you ready to take action and receive the knowledge that allows you to completely eliminate your knee pain forever?" Teaches me very clear and practical methods that I can immediately implement to eliminate my IT band related knee pain while re-gaining my fitness. Is perfect for me as a team athlete, endurance athlete, triathlete, swimmer, cyclist or runner to remove the frustration and expense from the pain on the side of my knee. Provides a network of supporting muscles and ligaments around the knee, hip and ankle joint that makes my knee bulletproof for life. 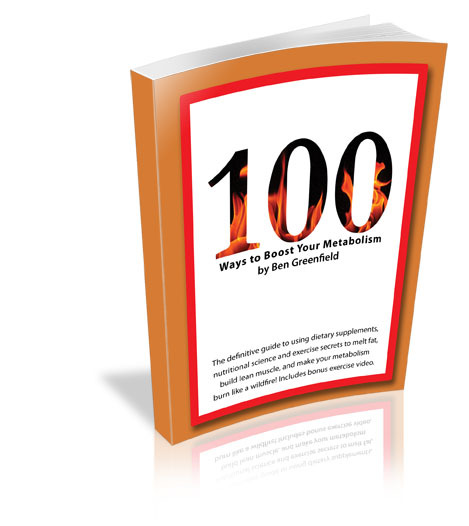 Bonus #1: A FREE copy of my book, "100 Ways to Boost Your Metabolism". "If You Need More Information about the IT Band Friction Fix, Here is A Personal Note & Video from Author Ben Greenfield..."
P.S. I'm constantly studying the most up-to-date body fixing methods, and as part of the "life time of updates" everytime I discover a new IT Band Friction Fix remedy, you get an instant e-mail that gives you access to it. P.P.S. Don't let anything stop you from eliminating your pain. It's only $97 and it's guaranteed! I'm Ready for My Knee to STOP HURTING! Want to meet Ben Greenfield, the author of the IT Band Friction Fix? Yes, Ben! I'm Tired of the Frustrating and Crippling Pain on the Outside of My Knee and I Want This Same Program! Wait! Before you go, don't forget to sign-up for our FREE newsletter! Complete the form below for "The Knee Letter", a weekly knee-joint focused newsletter that is jam-packed with tips on identifying and eliminating exercise and lifestyle habits that can contribute to knee and IT band pain. When you sign-up, we'll also include a FREE copy of Ben Greenfield's E-Health Handbook of Diet & Fitness Secrets (a $19.95 value! ).